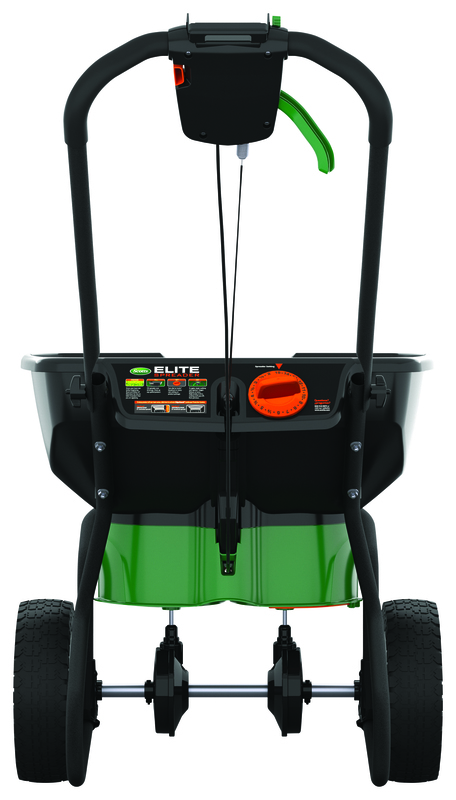 Scotts® Elite Spreader is our most advanced and accurate spreader yet! 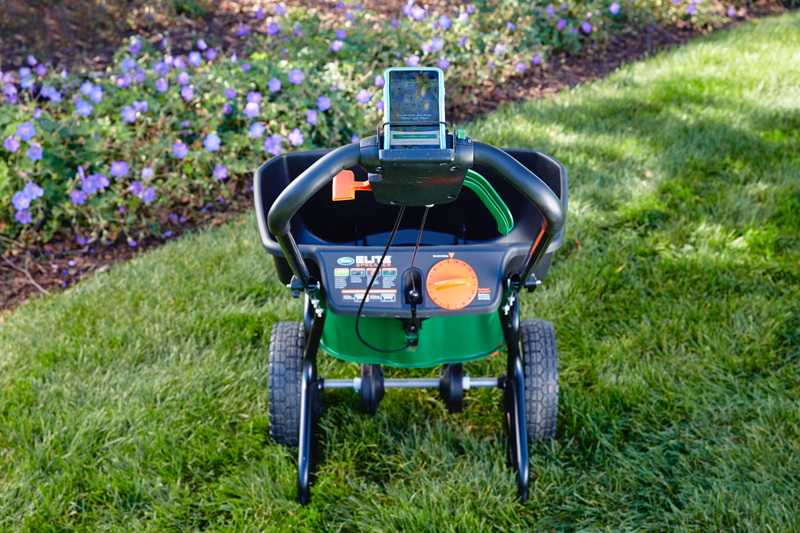 Dual rotors provide increased accuracy and a 6 ft. spread pattern, which means you make less passes across your yard, saving you time. The large hopper holds up to 20,000 sq. 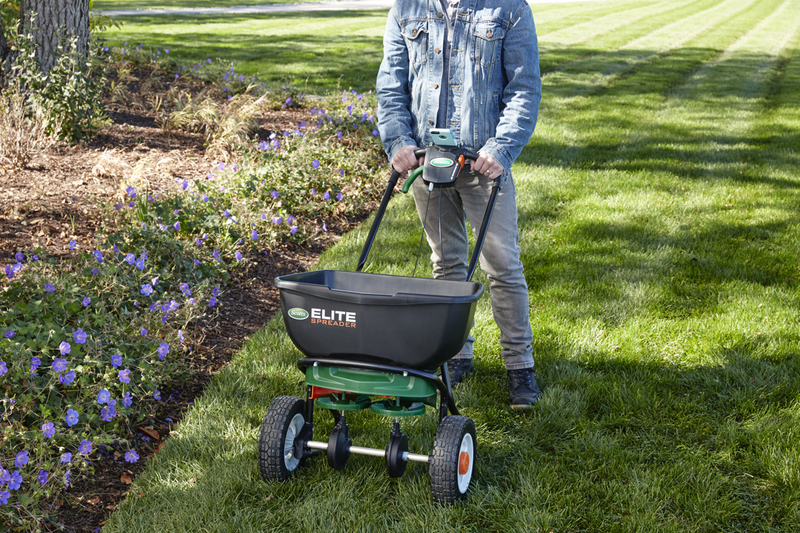 ft. of Scotts® lawn product. The ergonomic handle provides comfort, while featuring a smartphone holder. 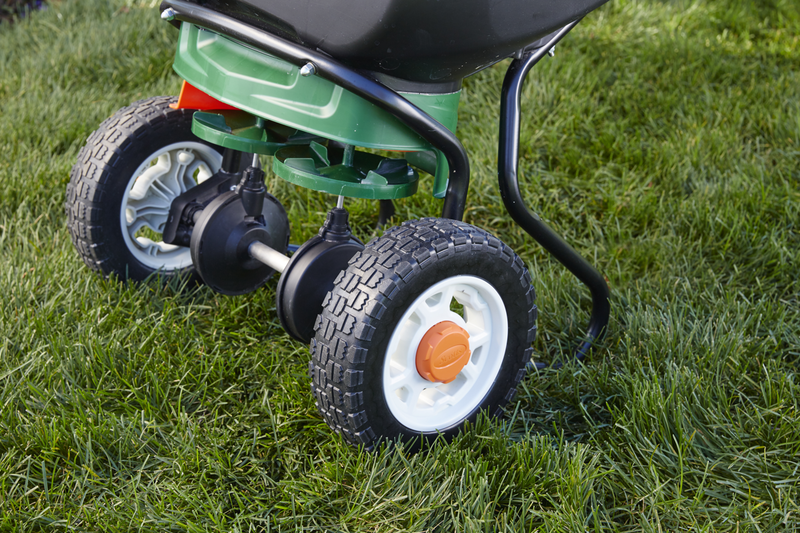 The 10-inch tires are foam filled, so they won't ever go flat. Turn rate control to correct setting. 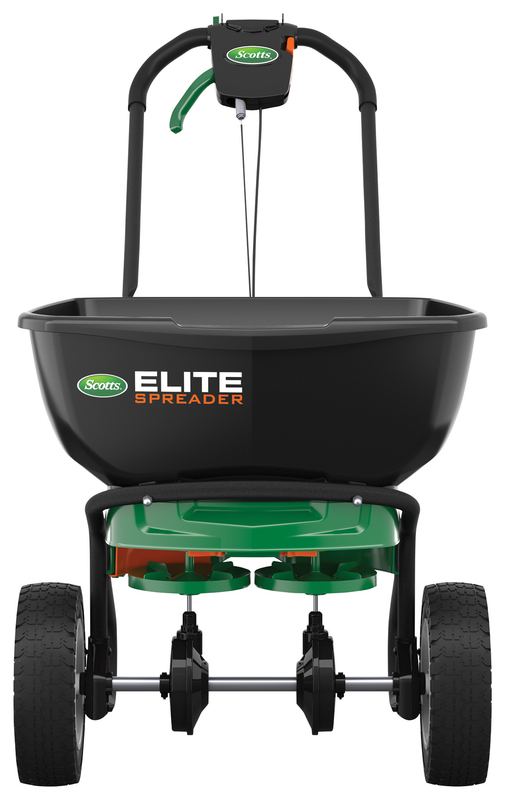 Spreader width is 6 feet, so allow a few feet in between passes to ensure even distribution. 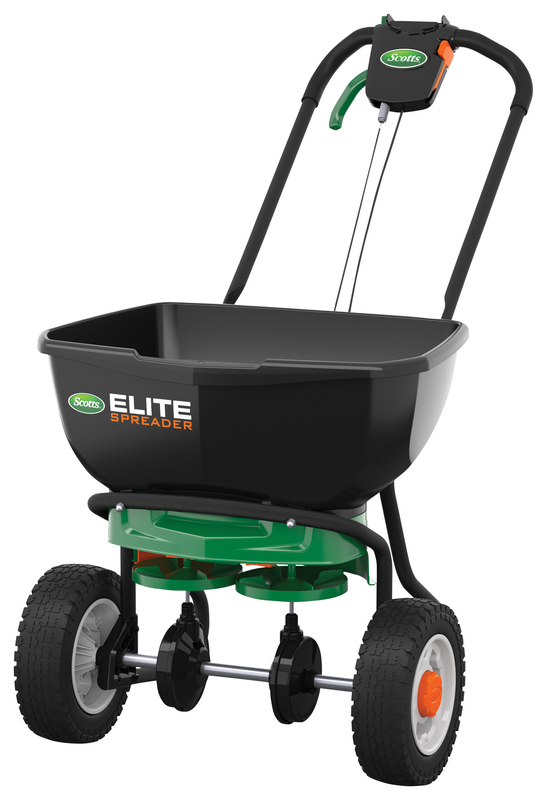 When Edgeguard® is engaged it will block off right side of spreader pattern to prevent product from spreading onto non-lawns areas. 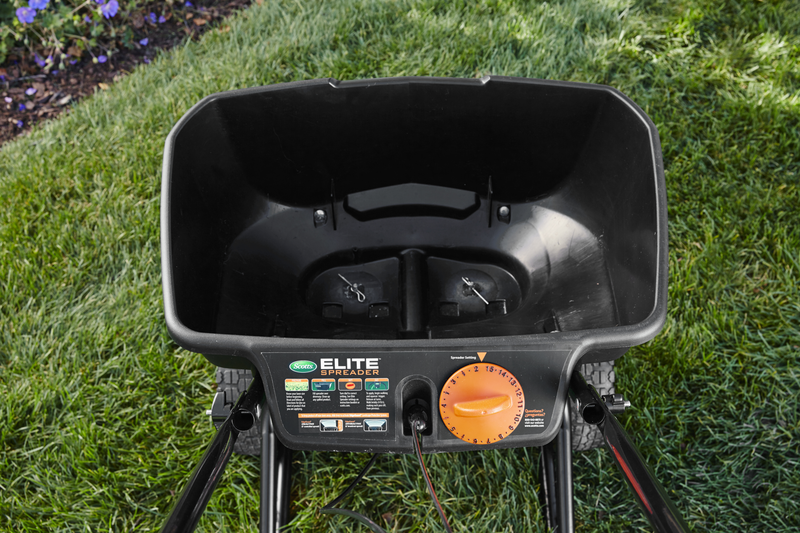 Remove agitator pins when spreading coarse rock salt. Do not allow product and/or rinse water to enter storm drain or sewers. 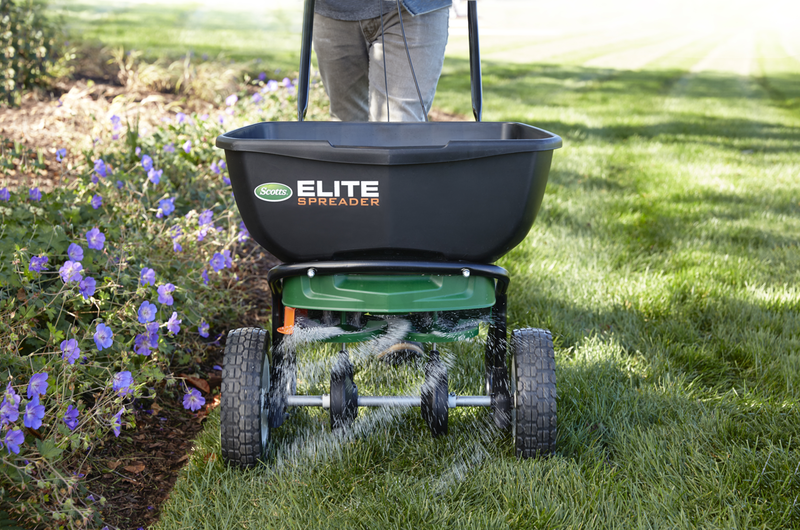 If product lands on any hard surface such as driveway, sidewalk, or road, sweep the product back onto the lawn t keep it from being washed into the storm sewers and ultimately surface waters. Never leave unused product in the spreader. Pour leftover material back into the package and seal package tightly. 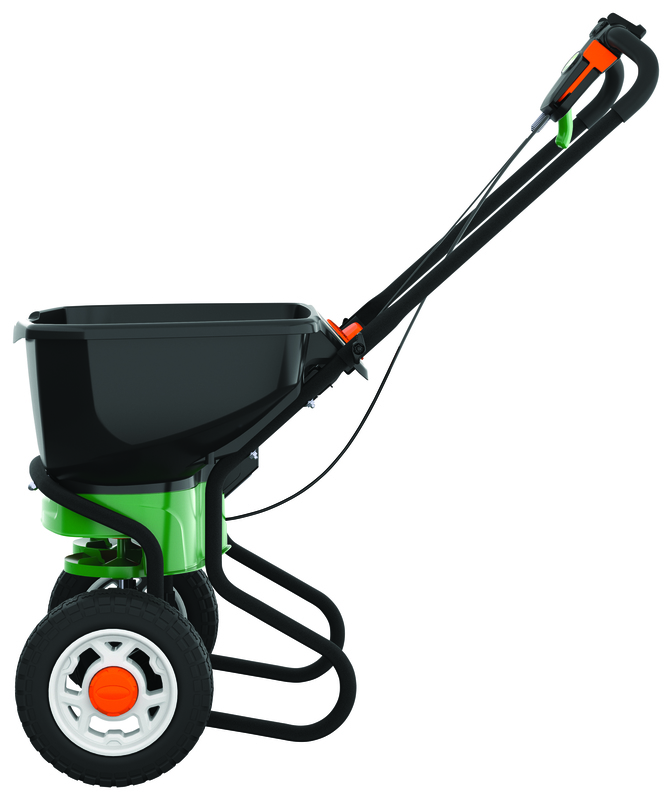 Clean spreader after use to maintain proper operation. Easily assembled in as little as 5 minutes.